Well this was a nice surprise. A post from the amazing @ronke.lawal of @ariatupr celebrating Afridiziak Theatre News: www.afridiziak.com #afridiziaktheatrenews. Thank you for the recognition, we salute you! 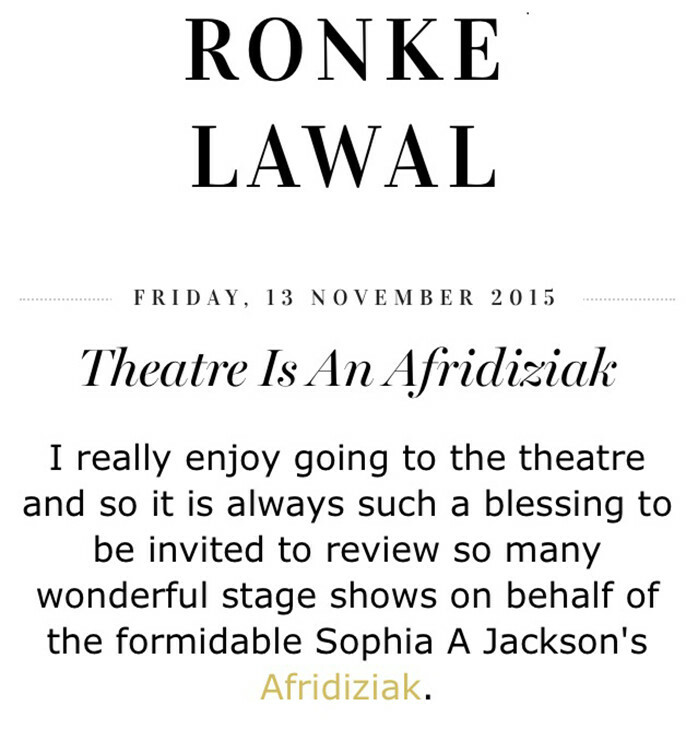 Ronke Lawal is a contributor on Afridiziak Theatre News.